INR Test Strips made by Roche under the Coaguchek brand have issued an URGENT SAFETY NOTICE. 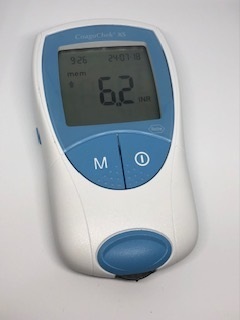 It has been found that the test strips have been giving false INR readings. Are you affected by this notice? Are you, like me, self-testing at home? Does your doctor’s surgery offer Point of Care testing using these strips and a Coaguchek machine? What action must you take now? What is the Safety Notice regarding? I was sent a letter, if you got one it would have been in a large red envelope. The number of two strip lots that I have used in the last few months was mentioned. I usually would be lucky to get through one box in about 9 months but unknowingly I was getting wrong readings and tested a few times. The result of doing more tests means using much more strips to check. Roche mention that the results in these newly calibrated strips should not affect anyone because ‘none of the medically used therapeutic ranges exceed the above mentioned value of INR 4.5. I wrote to Roche to explain that at times mine can exceed this value. If you take Warfarin you will understand it’s not always easy to keep your INR in range all of the time. That is, unless you are really very constant with an exact diet. My range is between 2.5 and 3.5 but it’s not unusual to be up around an INR of 4. Imagine my horror when I was getting readings of 5.9 and then 6.2 after having 2.4 a few days before. I am sure that day I used about 4 strips and decided to ask the doctors to do a venous test to check. Roche have since sent me some newly calibrated strips and I signed their letter to acknowledge that I received the letter and understood the issue. 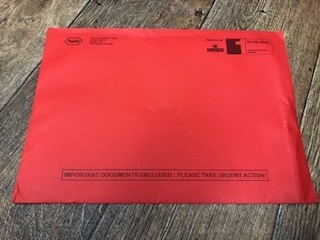 Did you get your letter with the Safety Notice? If in doubt, I would get in touch with Roche, also ask for your replacement strips, if you have a Lot that were affected. Does your doctor’s surgery use Roche Coaguchek Point of Care system in their surgery? Are you aware that they may have had this letter too? Have they informed you that there have been deviations in results over INR of 4.5? It’s worth checking out to ensure your readings are correct. Take a copy of Roche’s Notice letter in and check that they are keeping you safe.